In 2018 it rained on Marathon day. On April 15, rain is also in the forecast. There should be downpours in the morning, and scattered showers throughout the day. Temperatures should rise into the 60s. The wind will be gusty in the afternoon and will cool down in the evening. Due to chilly temperatures and heavy rain, the marathon organizers have changed the start time. Runners who have been assigned to the fourth wave will begin their race immediately after the third wave starts. Originally, there has been a 25-minute gap between the two waves. The grand marshal of the Boston Marathon 2019 will be the winner of the 2014 Boston Marathon, Meb Keflezighi. He will leave the starting line at 8:50 am ET in Hopkins. This is 12 minutes before the first scheduled race. There will be over 30,000 runners and hundreds of thousands of onlookers at the 2019 Boston Marathon, and safety is paramount. In 2018, over 2,500 participants of the marathon required medical treatment. Organizers this year will be doubling the number of weather shelters. This year, there will be eight shelters instead of four, and one will be in each town the runners will enter. MEMA will provide over 50 buses in case spectators and runners want to get out of the rain. Spectators may be asked to go through security checkpoints and may be asked to have their bags inspected. There will also be a No-Drone Zone along the course route. There will be closure and restrictions on Marathon Day. Monday is a holiday for some people, and schools are in spring recess. State offices will be closed and MBRA services are on a weekday schedule with rush-hour service prior to and after the marathon completes. On Monday the HOV lane will be closed and resume on Tuesday. In addition, roads will be closed during the following time periods at each race location. 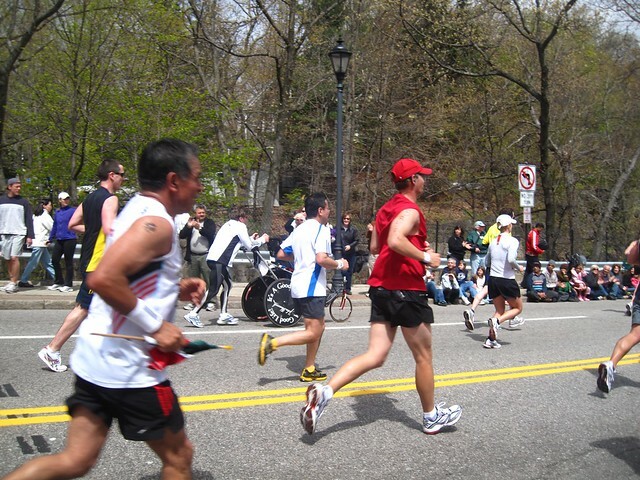 The Boston Marathon 2019 for the first time falls on One Boston Day and is the six-year anniversary of the 2013 Boston Marathon bombings. There will be a memorial for the bombing victims unveiled on race day on Boylston Street. The artists of the memorial had said it would be completed by the summer.